Stop for the night - Stay for ever!! Elvis never left the building!! Paradise make's your holidays!! Welcome to my world!! Shiny happy people welcome back home!! We are all prisoners!! Together for ever!! 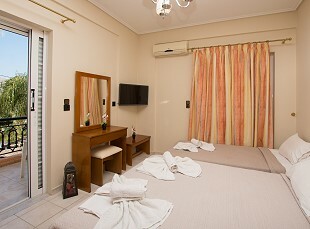 Cosmopolitan Studios are located in the centre of the busy Tsilivi resort, meaning that everything is just a few steps away. 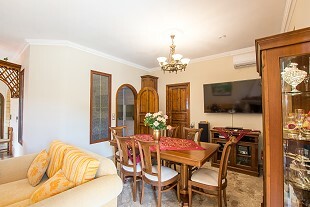 Owned and run by the same family that has the famous Paradise Cocktail Bar, the studios have been operating successfully for many years with Kosmar tour operator and are now available to book directly through the internet. 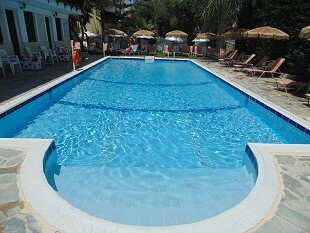 The accommodation consists of studios suitable for 2 persons set around a beautiful swimming pool. 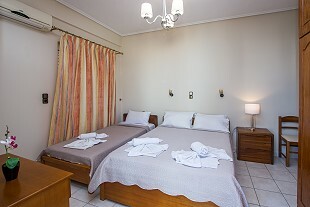 All studios have a double or two single beds, wardrobe, vanity unit, small kitchenette with hot plate, fridge and utensils, bathroom with shower, ceiling fans and balcony overlooking the pool and surrounding area. 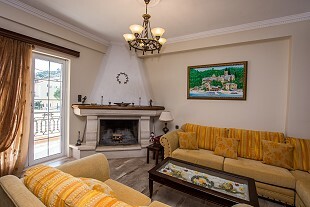 Paradise is a fully furnished house which can easily accommodate six persons or eight persons if rented with the adjoining studio. 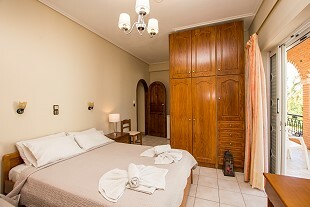 The main house has two separate bedrooms, one with a double bed and the other with two single beds; two bathrooms one with wc and shower and the other with wc and steam bath tub plus shower; fully equipped kitchen with full sized oven and cooker, fridge, dishwasher, kettle, coffee machine and all utensils; living dining area with dining table and chairs, two sofa beds, open fire place, 42inch flat screen TV, computer area with internet connection, iron/ironing board and HiFi music centre. 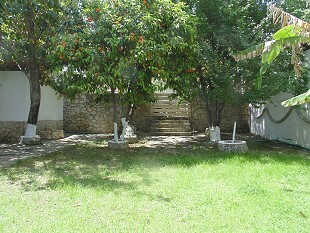 In addition the house has spacious a spacious balcony and air-conditioning in all rooms. 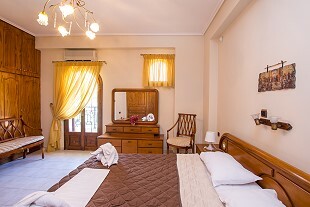 The adjoining studio has a double bed, fridge and wc with shower. PLEASE NOTE: Due to its location can be subject to some noise during the summer months. 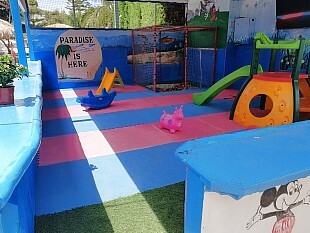 The studios have their own swimming pool with spacious patio area with sun beds and umbrellas, covered children's play area and on site snack bar serving refreshments and food all day long. 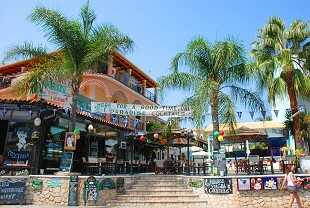 The Paradise cocktail bar is right in front of the studios where you can enjoy lively night time entertainment. The Famous "Paradise Cocktail bar"
Tsilivi is a bustling, lively resort ideal for families, couples or groups of friends of all ages, located on the north east coast of Zakynthos it is a beautiful resort with a long sandy beach that has a Blue flag award, for cleanliness. 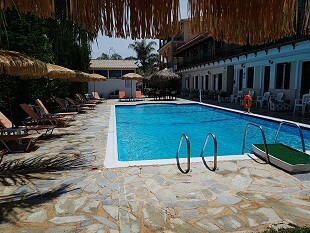 The friendly resort has a welcoming atmosphere with much to offer its visitors, not just the superb beach but also a wide range of tavernas, shops, restaurants, bars and nightclubs.